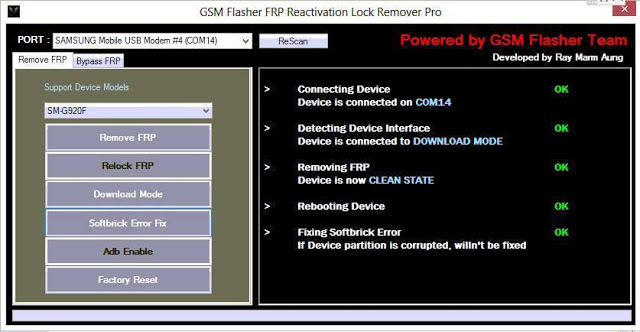 Here you can Download GSM Flasher ADB Bypass FRP Tool for your PC. GSM Flasher is a powerful tool which you can use to Remove the FRP of any Android smartphone. The tool allows you to remove the FRP of your mobile phone device. The GSM Flasher ADB will support Samsung, Oppo, HTC, LG, Micromax etc. This tool is working fully with your phone. The tool is tested by the developers and they agree with this. 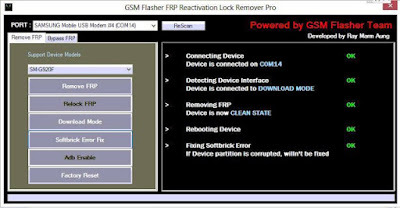 0 Response to "GSM Flasher ADB Bypass FRP Tool Pro 2018 Latest Version For Windows"